Lippman, Thomas. 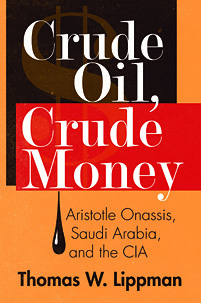 Crude Oil, Crude Money: Aristotle Onassis, Saudi Arabia, and the CIA. Praeger, 2019. ABC-CLIO, publisher.abc-clio.com/9781440863950.